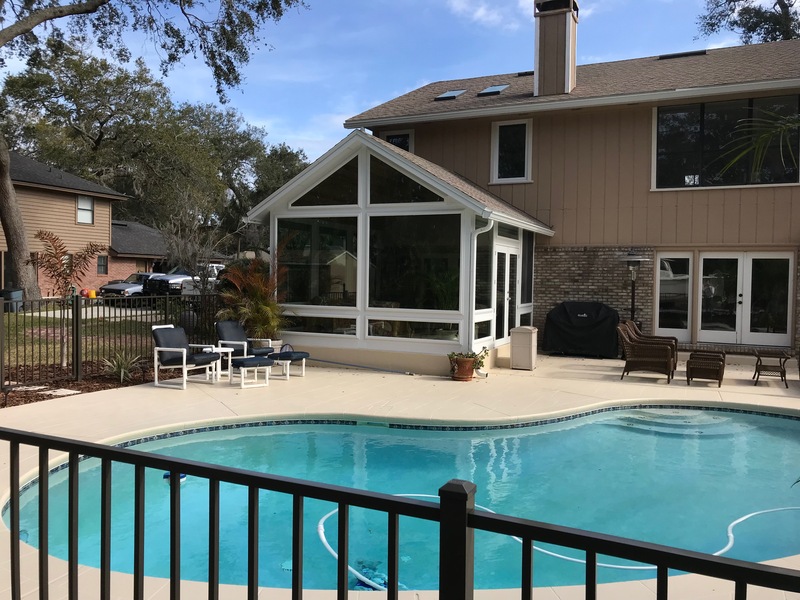 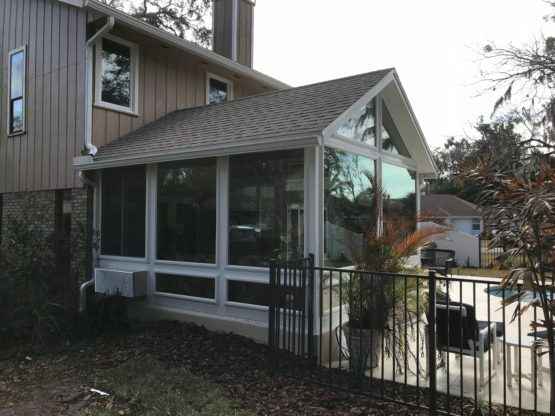 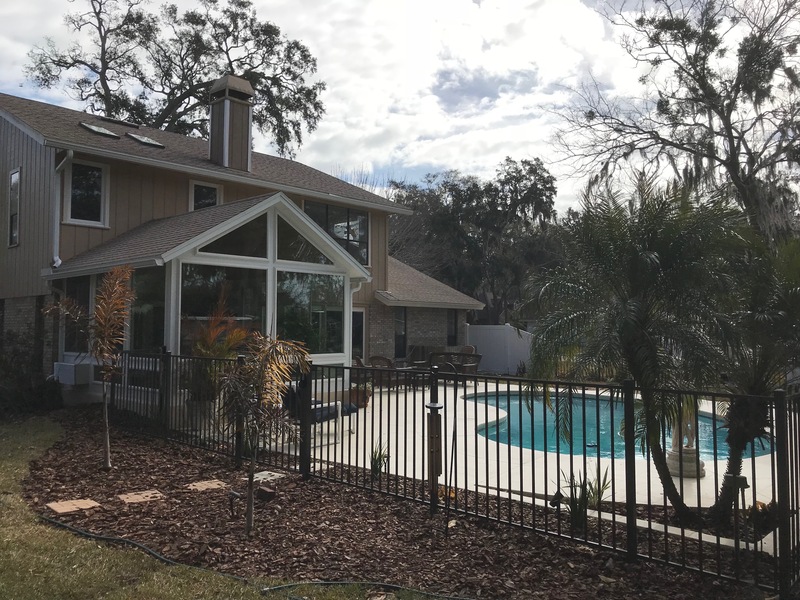 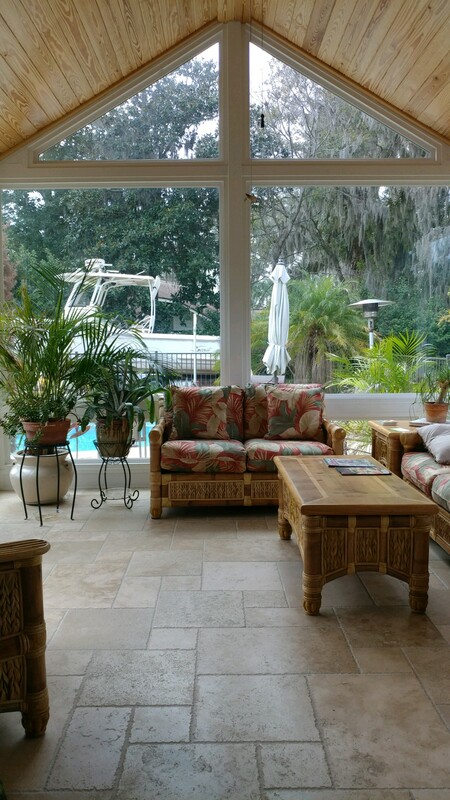 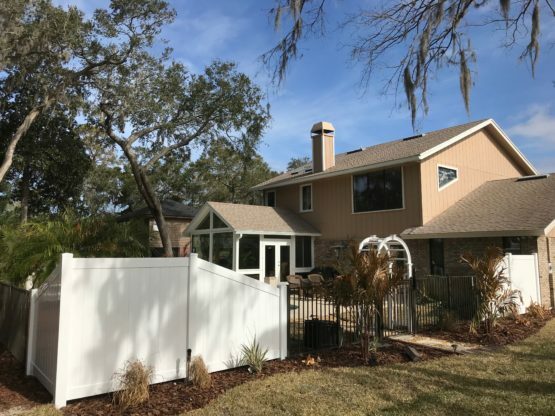 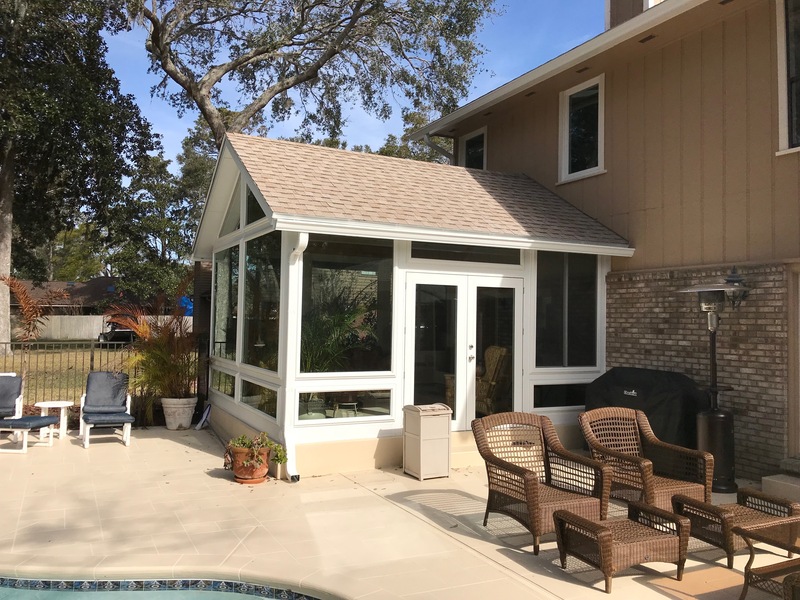 Custom Built Sunroom located in Neptune Beach Florida. 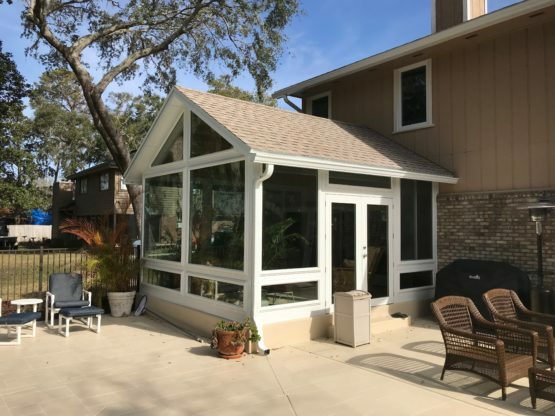 This Room features Simonton Reflection Series Vinyl Windows, Custom Windows Full View French Door, Shingled Composite Gable Roof. 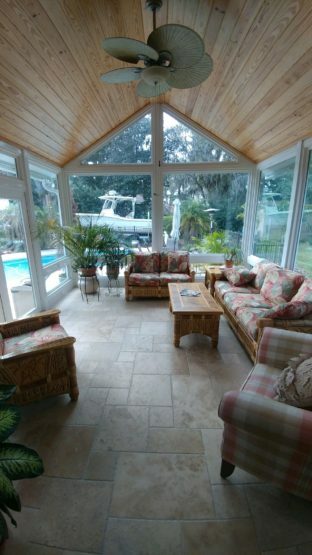 A PTAC HVAC Unit was install through the side wall creating habitable space. Call Today For A FREE QUOTE!